It’s a typical Bank Holiday in England … rain, rain and more rain. We were planning to go out somewhere local for a Jubilee picnic today but the weather put a stop to that.So we decided to go for a drive out somewhere and ended up all the way to Mumbles in South Wales. We stopped on the seafront and sat in the car to eat our picnic. I think I would like to come back here when the weather is better and we could maybe go and play on the beach. 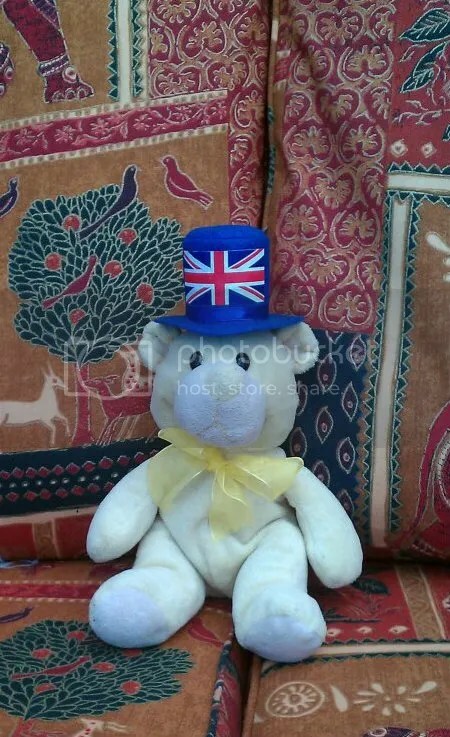 When we got home this evening I put on my special hat to celebrate the Queen’s Diamond Jubilee. I hope you are all having a great Jubilee weekend.